If you're using an iPhone (iOS), refer to this article. If you're using an Android phone, refer to this article. 1 - Click the “Share / Sync” button. 2 - Copy the URL ending with the “.ics” extension under “Sync to your calendar application”. On the left side, click on the “+” button, inside a circle (see orange arrow). 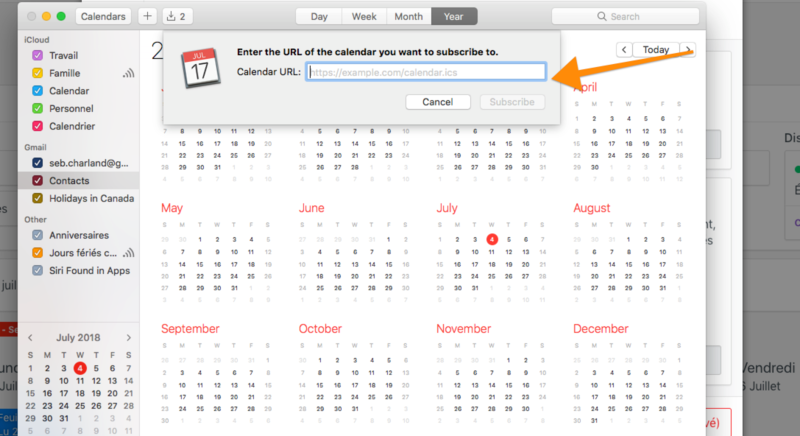 Paste the URL copied in the previous step into the “URL of calendar” box (see orange box). 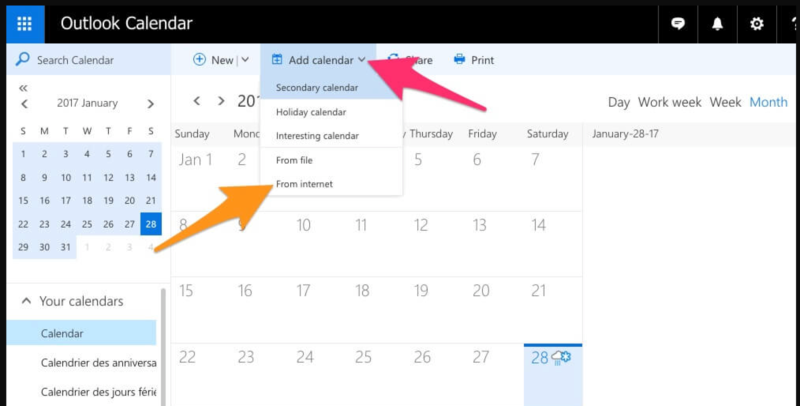 Open Outlook Calendar, and then click “Add calendar”. 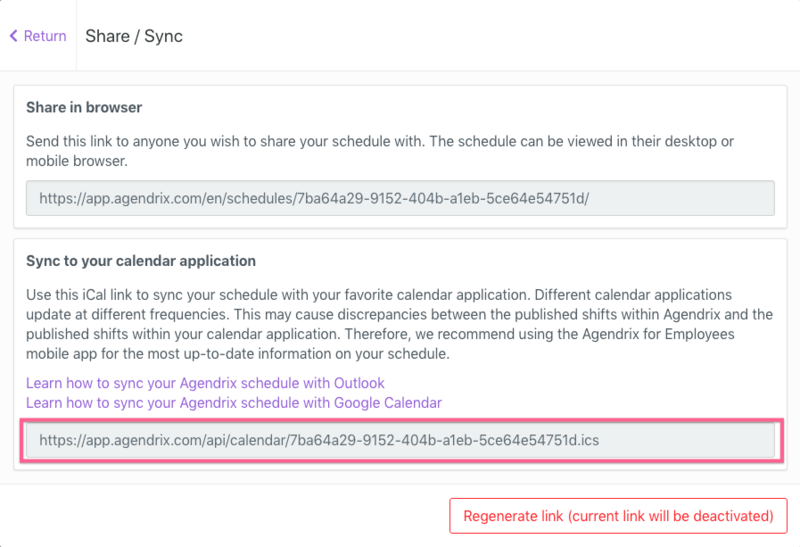 Copy the address located under “Sync to your calendar application” in Agendrix, and then paste it into the “Link to the calendar” box. Add a title to your calendar under “Calendar name“, at your leisure. Click “Save” to sync Agendrix to your calendar.